ProGreen EXPO is the premier Rocky Mountain Regional Conference of its kind. With more than 6,000 green industry professionals attending and visiting the EXPO you can't afford not to exhibit at this conference. Exhibiting at ProGreen EXPO enables you to give industry professionals the hands-on experience they want from a company. Give ProGreen EXPO attendees the opportunity to see, feel and experience everything your company has to offer. Reach potential customers first and gain a leg up on your competition by exhibiting at ProGreen EXPO. The only place under one roof to shake the hand of your current customers and expose your company to thousands of potential customers. This is a target, captive audience in one location, that happens only once a year. Want to purchase a booth? Download the 2019 exhibitor kit including marshalling yard information and directions, move-in/out schedules, and parking information. 4 complimentary full registrations (per 10x10 purchased) - must register by early-bird deadline! Any additional furniture, carpet, electricity, internet or other items for your booth must be purchased through the service contractor and/or the convention center. To order anything additional for your booth please reference the exhibitor kit, which will be distributed 90 days prior to the start of the EXPO. Note: The EXPO hall is NOT carpeted. Exhibitors will have access to the ProGreen Exhibitor Portal. The login credentials will be provided in your booth purchase confirmation email. 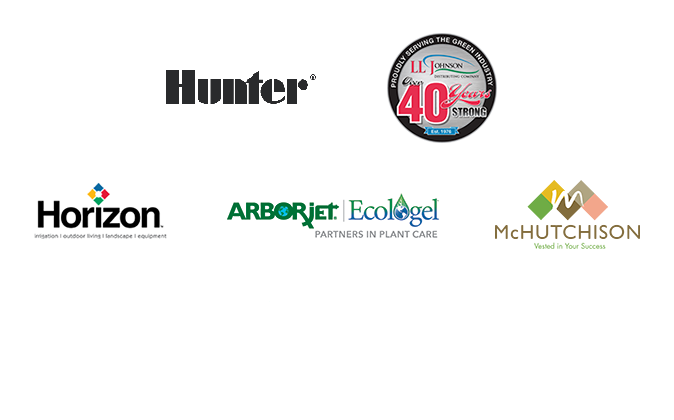 Please login to the portal to make payments, download the exhibitor kit, view sponsorship opportunities, and complete additional exhibitor tasks required by ProGreen EXPO. "ProGreen EXPO is a show set-up to help exhibitor succeed." Cancellation Policy: A full refund, minus a $100 processing fee, will be given if PGE is notified in writing before September 7, 2018. After September 7, 2018, NO refunds will be given. Exhibitor does hereby request from the ProGreen EXPO (hereinafter referred to as Management) exhibit space. Management shall have the power to interpret the rules and regulations and to amend them as may appear necessary for the best interest of the entire show. These regulations, which are printed on the back of the exhibitor contract, are a part of the contract between Exhibitor and PGE Management. Suitcasing: ProGreen EXPO has a no tolerance policy for suitcasing. Non-exhibiting companies are not allowed to distribute materials or samples or promote their company in any way to attendees or exhibitors throughout the whole conference area. Exhibiting companies can only distribute any type of marketing material from their designated booth space. Recruiting: Exhibitors are not allowed to recruit new employees or personnel form their booth to attendees or other exhibitors. Exhibitors are encouraged to post job openings on the job board. Children Under 18: are not allowed on the show floor during exhibitor move-in and out times. Additional policies are outlined in the exhibitor contract. All exhibiting companies are required to abide by all policies set by ProGreen EXPO, Freeman and the Colorado Convention Center.